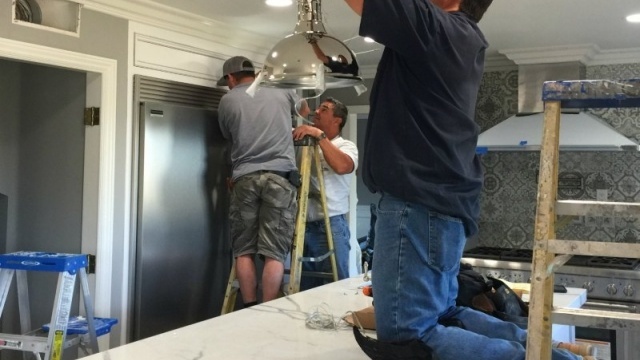 Hanging the fixture: Measure ceiling height, the light should be hung 30″ above the table top. Fixture Width Example Calculation: If your table is 44″ wide x 31″ high: 44″ x 75% is 33″ recommended width of fixture. Fixture Height Calculation Example: Measure table and ceiling height. If ceiling height is 96″ : subtract 30″ hanging distance above table – 31″ table height = maximum height of total fixture or 35″ including chain.